Obituary for Therese M. Fontaine | Magner Funeral Home, Inc.
Terry was born in Norwalk on February 20, 1932, daughter of the late Roger and Eveline Leblanc Marcotte, from the Province of Quebec, Canada. She was raised in Norwalk; and graduated from - St. Joseph’s School, South Norwalk, class of 1946; Sacred Heart Academy class 0f 1950; and Danbury State Teachers College (now known as Western Connecticut State University), class of 1954. She taught at Brookside Elementary School in Norwalk for 36 years, followed by 10 years serving as a supervisor of graduate interns at the University of Bridgeport. In May 1985, Terry co-chaired the committee that erected the French-Canadian Plaque on Heritage Wall on West Avenue in Norwalk. 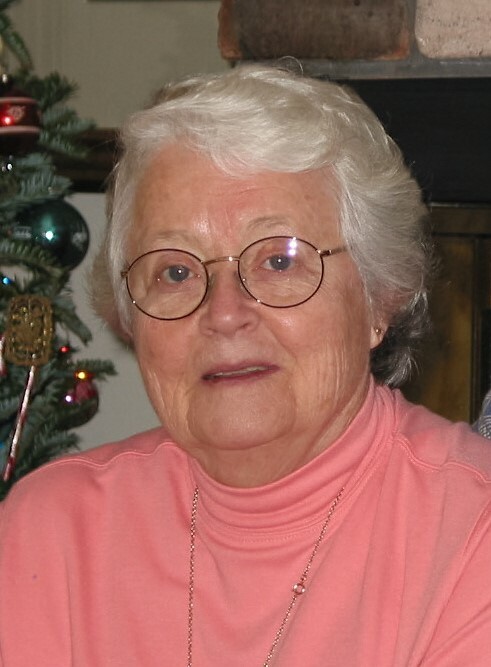 She served as secretary of the Southern Fairfield County Retired Teachers Association, and was active with the Norwalk-Wilton AARP Chapter #3929, having served as president and newsletter editor. Additionally, she volunteered at Norwalk Hospital, Honey Hill Care Center, Brookdale Place in Wilton, and was a volunteer tutor at All Saints Catholic School. She was predeceased by her brother Roland Marcotte. She is survived by Albert J. Fontaine, her husband of 64 years, her brothers Jean Paul Marcotte and his wife Stella, and Louis Marcotte and his wife, Diane, both of Norwalk, her two sons, Craig A. Fontaine and his wife Michele of Glastonbury, CT, Scott Fontaine of Norwalk, her grandchildren Ryan Fontaine and his wife Brieyn of Fort Mill, SC , Reid Fontaine of Manchester, CT, Jacqueline Fontaine of Glastonbury, CT, Kaitlin Fontaine of Westport, CT and her two great granddaughters Carleigh and Camille Fontaine of Fort Mill, SC. The family will receive friends on Wednesday August 29th from 4-8 pm at the Magner Funeral Home 12 Mott Ave. Norwalk, CT. A funeral mass will be held on Thursday August 30th, 10:00 am, at ST. Jerome’s Church 23 Half Mile Rd. Norwalk, CT.